In Portugal you can simply find everything you need for the best surf trip of your dreams! Lots of the Portuguese surf spots are within easy reach so you can choose without difficulty and discover a lot of waves during your surf holidays in Portugal. It doesn’t matter if you are a surfing beginner or surf professional, Portugal offers surf spots for everybody. All level surfers would find their best spot for a perfect surf trip in Portugal. Why to come for a surf trip to Portugal? Thanks to the hospitability of Portuguese people you can come across many possibilities of nice accommodation specially made for surfers. All equipment needed is all the time available in surf schools, where you can take special surf lessons or rent the surf material. 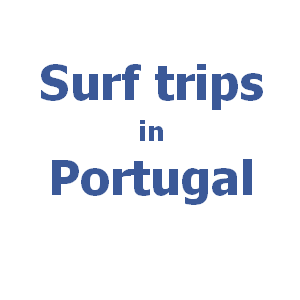 There are many great places for your original surf trip in Portugal. One of the best places recommended by portuguese surfing community is Peniche, the heaven of surf trips.